Tenorshare iCareFone gives people a comprehensive suite of iOS device optimization tools, including a file manager, speedup&Clean tool, backup&restore solution, Ads remover and more. Tenorshare iCareFone offers an all-around and risk-free iOS cleaning and optimization solution, it is very helpful iOS System Care.By the help of This iOS Tuneup, you can eliminate any junk files and caches to release storage and boots up running speed. What is more, you can back up and restore iPhone data, manage contacts, notes, photos, etc in your device, remove Ads from apps and it even helps to recover the iPhone open passcode.Key feature of Tenorshare iPhone Care Pro:1. Free Up Storage. Allows you to quickly detect and remove temp, cache, cookie, off-line and many other kinds of junk files, to reclaims storage space.2.Secure Privacy. Fiinds and lists messages, Internet history, Safari cookies, calling history, email caches, and all your private content, so that you can choose which of them is supposed to be removed from your device.3.Speed Up Device. Provided with two cleaning modes, iPhone Care Pro digs around every corner of your device and remove these photos caches, Sarfari Cookies, Sarfari Caches, Webmail Caches, Activate App, iOS Notification, iMessage and email caches, and all types of junk files. As a result, your old iPhone runs like new.4.Customize the Apps You Want to Clean Up.5.File Manager.You can easily manage files on your iPhone, iPad and iPod. 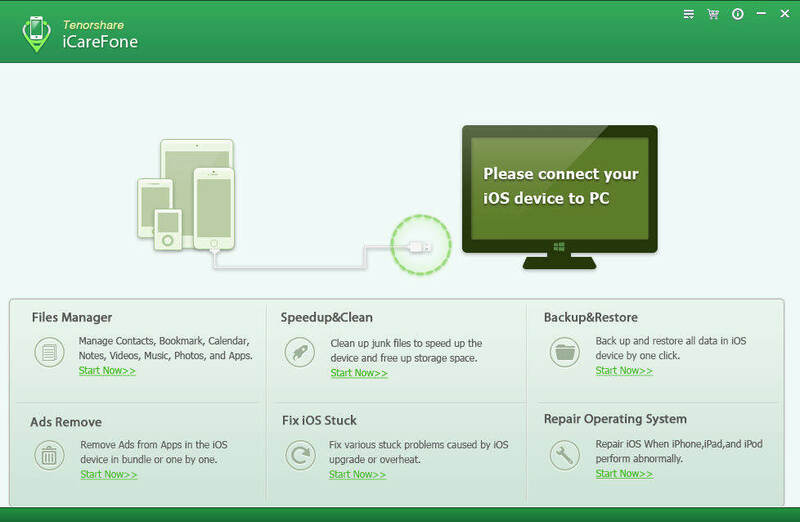 Simply connect your device with PC and all the rest can be done within several clicks.6.Back Up and Restore. Allows you back up your data before initiating the cleaning action.7.Ads Remove. Easily block or remove ads and banners in apps on iPhone, iPad and iPod Touch.8.Fix iOS Stuck. Fix various stuck problems caused by iOS upgrade or overheat.9.Find iPhone Open Passcode.10.Designed Intuitive and Easy to Use11.Support all iOS Devices and iOS Versions(iOS 10, 9.3, 9.1, 9.0, 8.4,8.3,8.1, 8, 7, iOS 6, iOS 5). Driver Identifier scans your computer for outdated device drivers and allows you to download and install the newer versions. Split words into multiple syllables and also count the number of syllables per word. For example, baby will become ba·by 2.